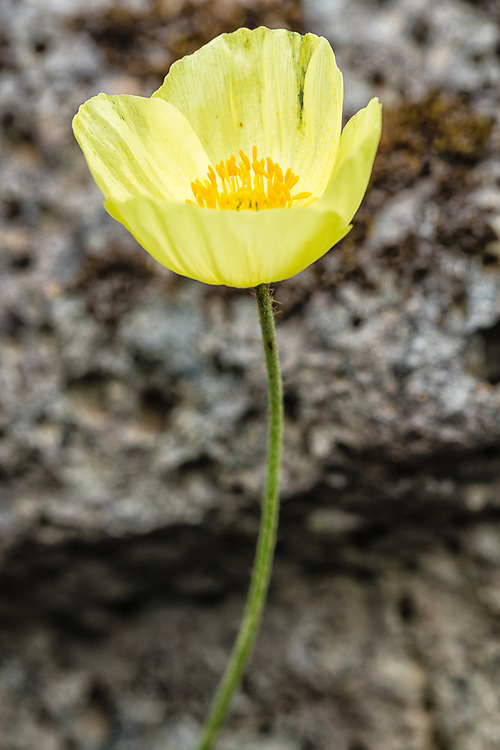 Arctic Poppy (Papaver radicatum) grows among the rocks of St. Paul Island in the Pribilofs in Southwest Alaska. Summer. Afternoon.